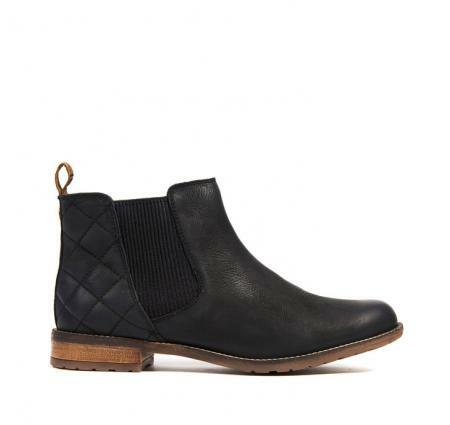 Barbour Abigail jodhpur style boot in black leather. This smart, ankle-high Chelsea boot by Barbour, has a branded rubber outsole for added durability and a fashionable chunky look. Detailing includes a quilted counter and Barbour's Classic Tartan to the inner. Make your choice of U.K. shoe size using the pull down menu and size guide below.SALE!